All dog handlers must be over the age of 16. Dogs must be in a stable state of health to hunt for eggs. All dogs must be kept on a maximum 3 foot leash, at all times. All participants must sign the Registration and Release Form for Dogs. 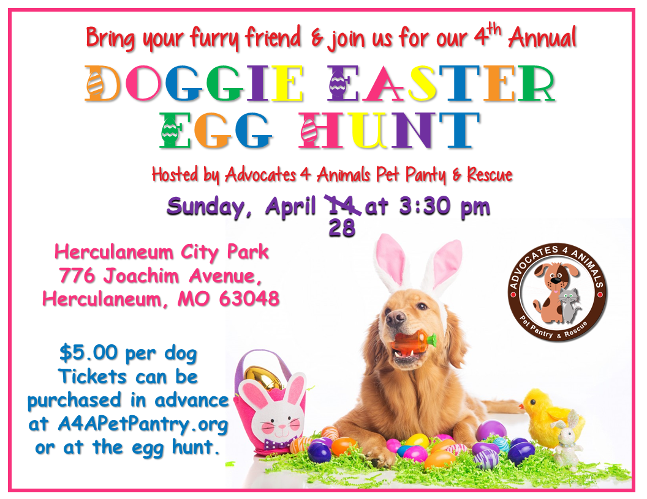 Registration can be done online and copies of the Release will be available the day of the Doggie Egg Hunt during the check in period.